Illidan Storm rage has been given the Pop! Vinyl treatment with this World of War craft Illidan Pop! Vinyl Figure! Perfect gift for WOW fans and collectors alike. 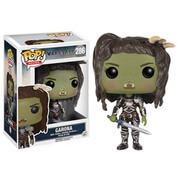 Collect the rest in this line of Wow Pop! Vinyl figures.